Dynamo won double at the SABRE EMEA Awards last night, taking home two Gold SABRE Awards for our work in financial communications and also consumer tech hardware PR. These two awards add to two In2Sabre awards gained earlier this year for crowdfunding and PR SEO. Both Golds were awarded for our work on the launch of the M3D which helped the M3D team gain international top-tier coverage and raise its funding total in just 11 minutes. The SABRE’s defined the Financial Communications category as “investor relations or financial media relations designed to reach shareholders and other financial stakeholders.” Dynamo’s campaign did just that, breaking the record for being the fastest funded Kickstarter of all time, and resulting in M3D’s Micro printer going into production with over 11 thousand backers. 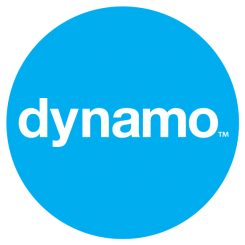 Including launching the Micro, Dynamo has now raised over $15 million on crowdfunding platforms for our clients. To find our more about our award winning team, why not say hello.